I use the black double sided foam tape with the green backing. Most motor factors stock it as do halfords. Many thanks will pop to Halfords today. did you still directly to the black plastic on the front with it ok ? i suggest you go and read up on some of the largest numberplate suppliers websites to see if they are legal or not .. I contributed to your thread ~ as well as informing you that metal plates are illegal (in case you didn't know) I also gave you 2 very good ways of securing them should you wish to still go ahead and put metal plates on your vehicle. Maybe you missed that though while you were getting all hot under the collar. Fill your boots though and do what you like it's your car after all. 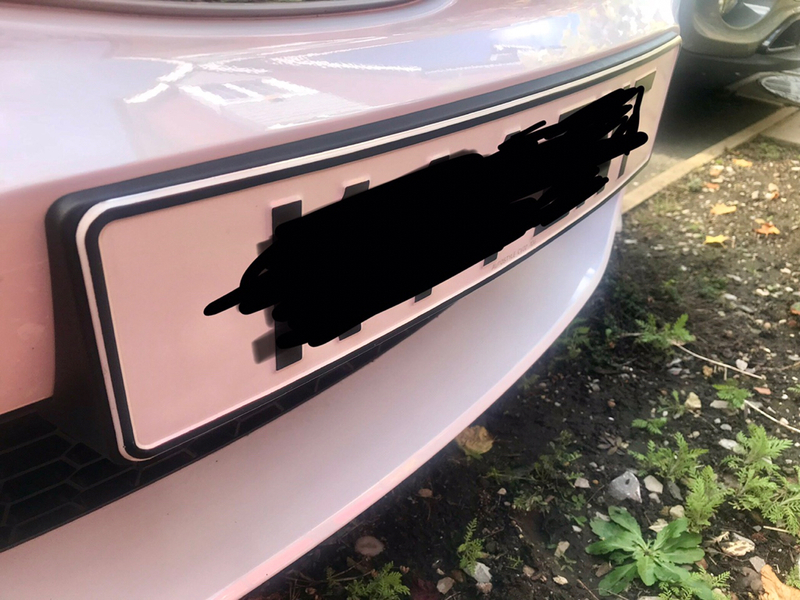 I stuck my front plate direct to the black plastic plinth. Make sure you clean it well first and on a day like today (10 deg here) I used a hair dryer to warm everything up first and once in place. 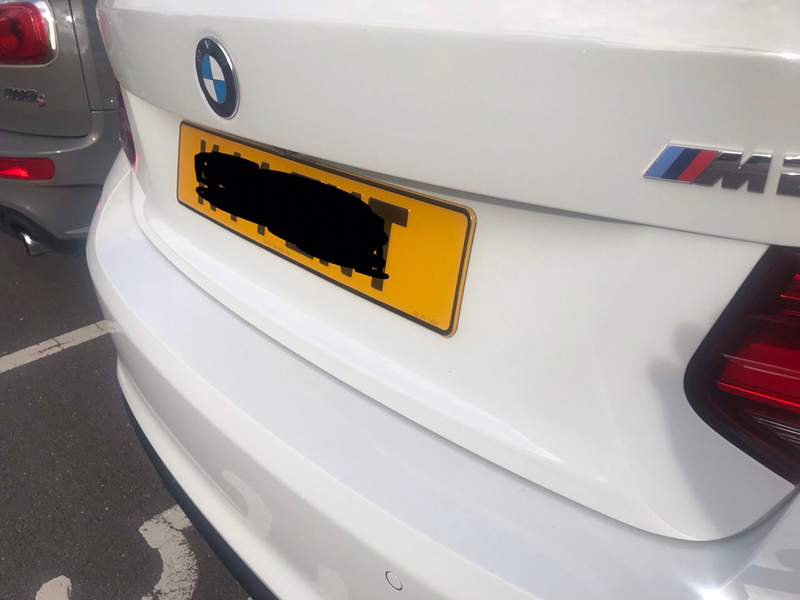 I’ve actually just put my front plate on the M2 today. looks great thanks for the info..regardless of what Mr GBballistic says.. The double sided tape works well. Whether you like it or not the legality is questionable. Why? The manufacturer can only assert they pass the display regulations. Certainly they are capable of passing (and may well do so). Ultimate if pc49 gets his bum in his handbag and doesnt like them it is off to court. If your assertion is right you win. Couple of intetesting threads on pepipoo on the exact subject. Passing an MOT for eight does not in any way prove that they are legal. Metal plates can be made to be retroreflective, and as such, meet that specific part of the legislation. But as they cannot self-flex back to their original state, they fail that specific part of the legislation. Are they legal? - No. Will they pass an MOT? - It appears so. Will you get a tug? - Unlikely. Will they do anything to improve the look of your car? - Personal opinion. Just had a good read on the DVLA website steve and I can't find the part about the self-flexing, I wonder if they have changed it? I have been assured these are 100% road legal in the UK. the company is a DVLA numberplate approved supplier as well. I even went on the DVLA website and they are named as an official registered supplier. For clarity, I have no issue with the type of plate you wish to put on your car. Providing they are legible and have the correct font I honestly don’t see it as a problem. I’ve found a link to the actual British Standard document (normally only purchasable from the BSI website) which lists all of the technical requirements. Have a read of page 4, and look at the diagram on page 6. I very much doubt that an aluminium plate will return to 25mm of its original state once tested. The rules are now stricter on types of material used to try to help with longevity and clarity of plates. This means not retroactively made reflective by treatment. Aluminium, which traditionally makes up pressed number plates, does not meet this standard. As I said though do what you like I'm finished with discussing this with you. Nor is acrylic a reflective material. The sticky backing is though. The British standard does not state whether the reflective material from which the plate is made should be stuck on the front or back. It does state that the white/yellow (background) must have a minimum coefficient retroreflectiveness and that the black numbers must have a maximum coefficient retroreflectiveness. I’m sure he’s just trying to be helpful, however it’s sometimes how you say things that makes a difference. Thank you 520d I was and you're right. It's the one problem with writing things online or via text messages, ...we're missing the face to face aspect which gives us body language ques etc letting us understand people better. But would the plates be illegal or just not to current standards ? I myself would use a few small dots of clear silicone sealant along side with the adhesive pads. Super strong, permanent but removable if needed to be. Current standards came into force in 2001. There are slightly different rules for cars manufactured prior to 1973 and for those manufactured between 1973 and 2001. Anything produced after 2001 must meet the 2001 standard. Like I said earlier, the risk of failing an MOT or getting a tug are minimal.